If you’re a lover of the arts, then Barcelona is the place for you to see! This culturally rich and deeply artsy city is filled with incredible views and beautiful creations to see and enjoy. What are the best places for art lovers in Barcelona? We’d like to introduce you to some well-known sites, as well as some places you may not have heard of before! Here we present the best way to appreciate art in the city of Barcelona without breaking the budget. You cannot come to Barcelona without viewing the incredible constructions of architect and artist Antoni Gaudí. There is nothing that can prepare you to see the incredible structure of the Sagrada Familia in person. This beautiful building is one of the highlights of art in Barcelona. Although a ticket to get inside will offer you stunning views of the interior design and the famed stained-glass windows, it will cost you 15 Euro (or 29 Euro to go up the towers). Instead, admire this stunning creation from the outside and appreciate its intricate detailing, fantastic artwork, and ornate designs. Other works of Gaudí include the lovely Parc Güell, a peaceful place to stroll and enjoy vibrant colors of art mixed with nature, the fancifully designed Casa Batlló, or La Pedrera, a creative residential building that is now a UNESCO World Heritage Site. This set of buildings just down the road from the Sagrada Familia has an interesting story along with being beautiful. Its existence began in 1401 as the Hospital de la Santa Creu i Sant Pau. Translates to English as Hospital of the Holy Cross and Saint Paul. It was a beautiful Gothic building, one of the first medical centers in Europe. In the late 1800’s, the hospital needed to be enlarged, and the work was given to modernist architect Lluís Domènech i Montaner. He created a beautiful building that still stands to this day. This is still a functioning hospital today, so new parts to the building have been added to meet the demand. However, the old parts of the Hospital Sant Pau have been converted to museums. One section even holds the National Library of Catalonia, and an art school. Tickets to see the Art Nouveau parts of the Hospital Sant Pau are 8 Euros. As an interesting glance into the history of this artistic city, Els Quatre Gats (or The Four Cats) is a café that was opened in the late 1800’s and was a haven for many of the now famed modern artists of Barcelona. Come inside and see a print of the famous painting by Ramon Casa i Carbó of himself and the original owner of the café, Pere Romeu, riding a bicycle together. The original painting is now on display at the National Art Museum of Catalonia. Here in this very place, many masters of the arts regularly met. Artists such as Pablo Picasso, Antoní Gaudí, sculptor Julio González, poet Rubén Dario and more. They gathered together to listen to the music of composers, discuss arts, argue about politics, and who knows what else! This famed place is a wonderful monument to modern art, and stands on the bottom floor of the ornate Casa Martí. It was designed by architect Josep Puig i Cadafalch. 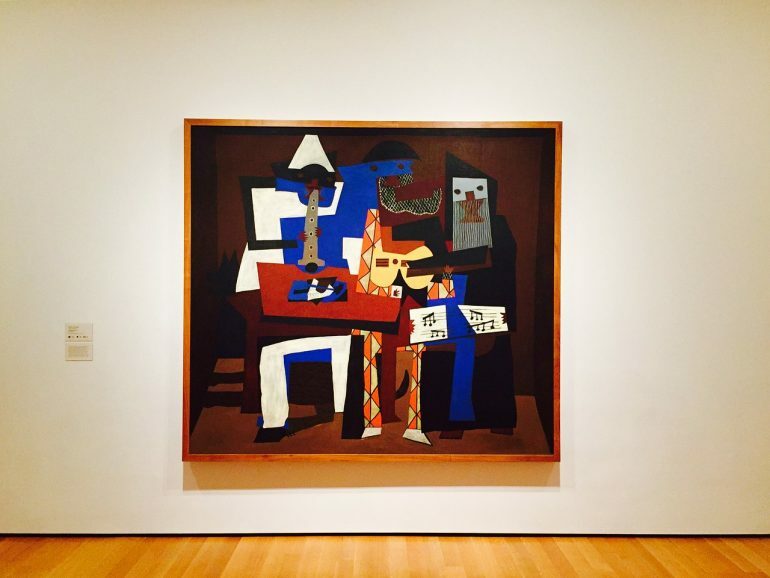 Barcelona is full of incredible museums, including the beautiful and fanciful Pablo Picasso Museum. The setting itself is interesting, as the museum is sits inside beautifully designed Medieval mansions! Each of over 4000 pieces of art in these buildings has a unique story. They will give you new insights into this fantastic artist’s life and work. The National Art Museum of Catalonia is also a beautiful place to visit, being the largest museum in Barcelona. 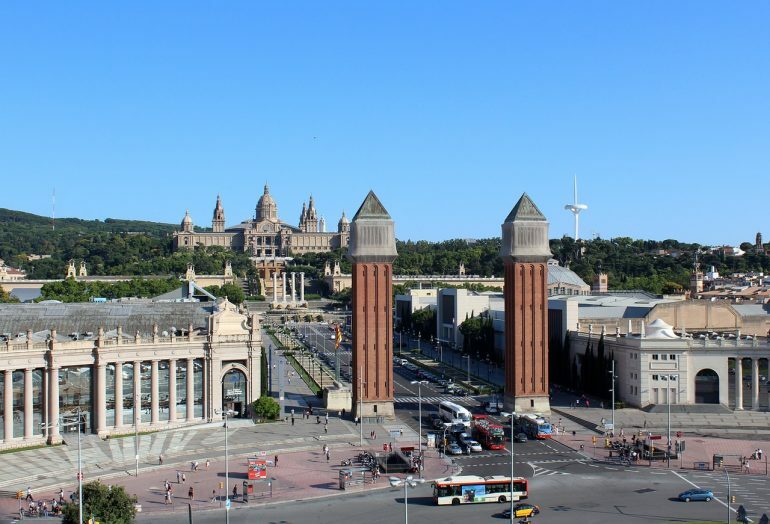 Located at the top of Montjuïc Hill, overlooking the city down below, you’ll find four sections of different periods of art, ranging from medieval and gothic works to pieces that originated in the 20th century. Plan on spending at least 4 hours in this fantastic place! Also, you can’t miss the beautiful Caixa Forum, a center for the arts with beautiful changing exhibitions that reach into all types of art, both modern and antique. On Sundays after 3:00pm, you can visit the Pablo Picasso Museum and the National Art Museum of Catalonia free of charge! Ready to dive into culture in Barcelona? 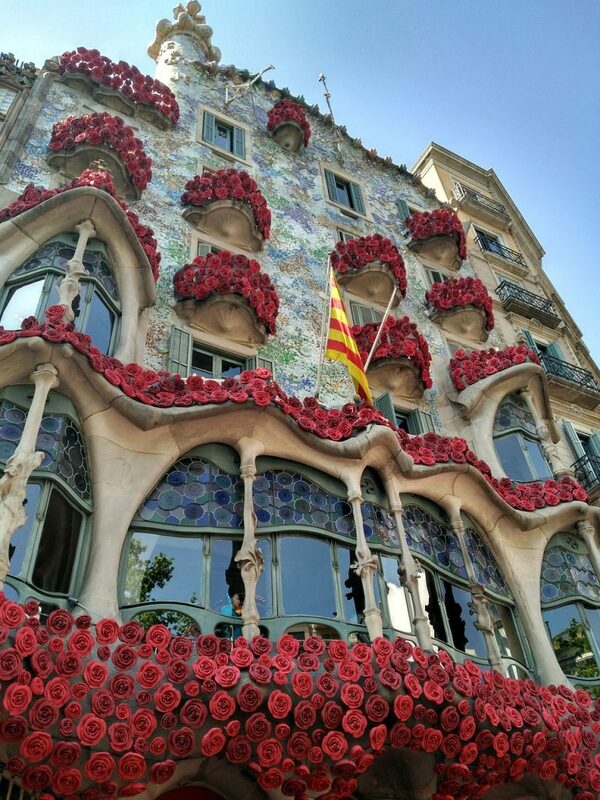 Coming to this beautiful city is the ultimate way to embrace your inner artist and enjoy the rich culture of Catalonia. Great post Agness! I will be sharing this with an art loving friend who is travelling to Barcelona in the new year. I´m such an art lover! No wonder I´ve already been to Barcelona like 10 times! lol Loving your list!